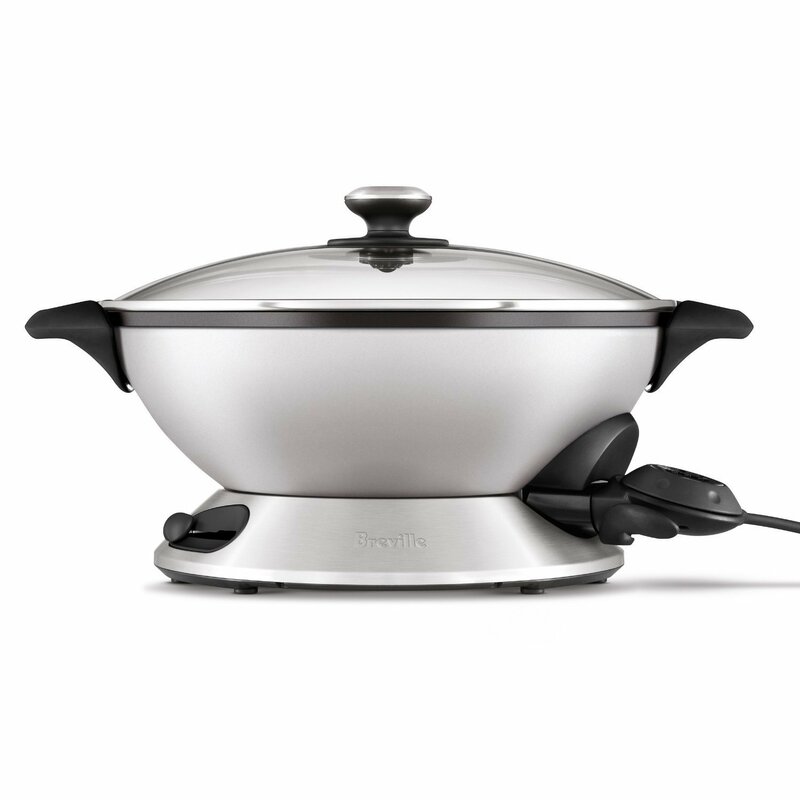 Meet the Breville Hot Wok Pro: a powerful electric wok with a 1800-watt heating element to maintain the high temperatures needed for you to prepare your food. 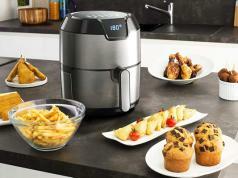 It has 15 settings up to 425° for stir-frys, soups and stews. The interior is made of aluminum with a non-stick cooking surface. There is also a tempered-glass lid with an adjustable steam vent, so you can control the amount of moisture in your dish. This 8-quart wok has a stainless steel base and maintains the high heat you need for stir fries. Makes a nice gift for those who love Asian cooking. Sets you back around $200.